Who’s the grill collector in this family? Weber publishes an annual GrillWatch survey in which they hire a market research firm to uncover the latest trends in grilling. This year they polled people on gender differences about grilling. The following is an excerpt from the survey. Do you find any of these results surprising? Confidence: Thirty-one percent of women have more confidence in cooking indoors, compared to 14 percent of men, while 30 percent of male grill owners are more confident in grilling outside, compared to 15 percent of women. Confidence Part 2: One-third of male grill owners (34 percent) state that they are a better griller than most people, whereas only 17 percent of women agree with that statement. Boys Like Their Toys: Like collecting cars, men tend to acquire multiple grills more so than women. Thirty-five percent of men are more apt to have two or more grills than women (25 percent). 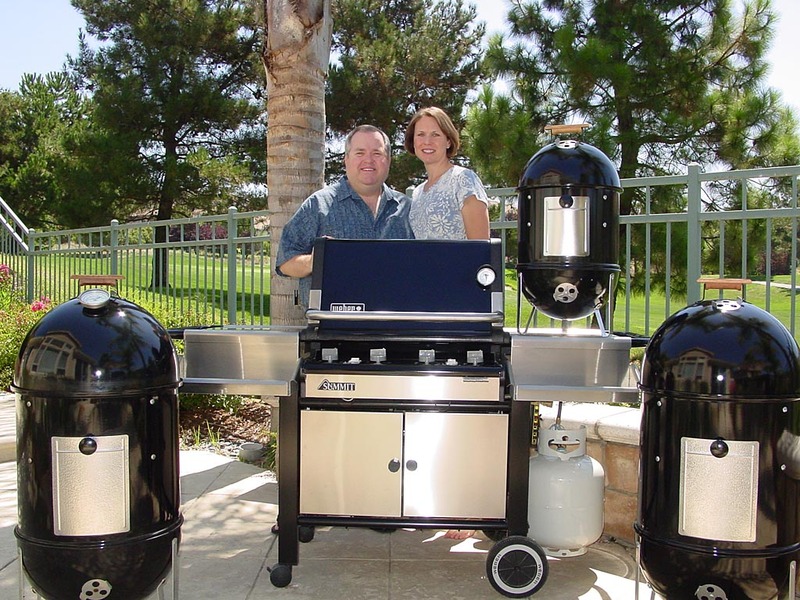 Dress for Success: Male grillers are more likely than women to own a number of accessories, including grill covers (53 percent vs. 47 percent), smoker chips (18 percent vs. 13 percent), and rotisseries (17 percent vs. 12 percent). Women rule with tongs (79 percent vs. 69 percent), spatulas (62 percent vs. 46 percent) and vegetable baskets (21 percent vs. 16 percent). Thanks Dad! : When it comes to learning how to grill, 59 percent of U.S. grillers teach themselves, but one-third also learn from their fathers (34 percent) and 15 percent from a spouse. Inside cooking is typically taught by mothers (56 percent) or self-taught (45 percent). 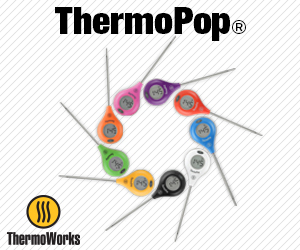 When was the last time you paid attention to the cover on your gas grill? I mean really examined it carefully, with a discriminating eye? Is it brittle, faded, and cracked? If so, it may be time to treat your grill to a new vinyl cover. Weber makes covers to fit even some of their oldest gas grills, like my dad’s Genesis 2 shown here. This is a Weber 7552 Premium Vinyl Cover that fits Genesis Silver C, Genesis Gold B/C, and Genesis 2000-5500 grills. Since the Genesis 2000 was an newer version of the Genesis 2, this was the correct cover for my dad’s grill. If you have questions about which cover is the right one for your gasser, don’t hesitate to contact Weber Customer Service at 800-446-1071. They’ll help you figure it out. 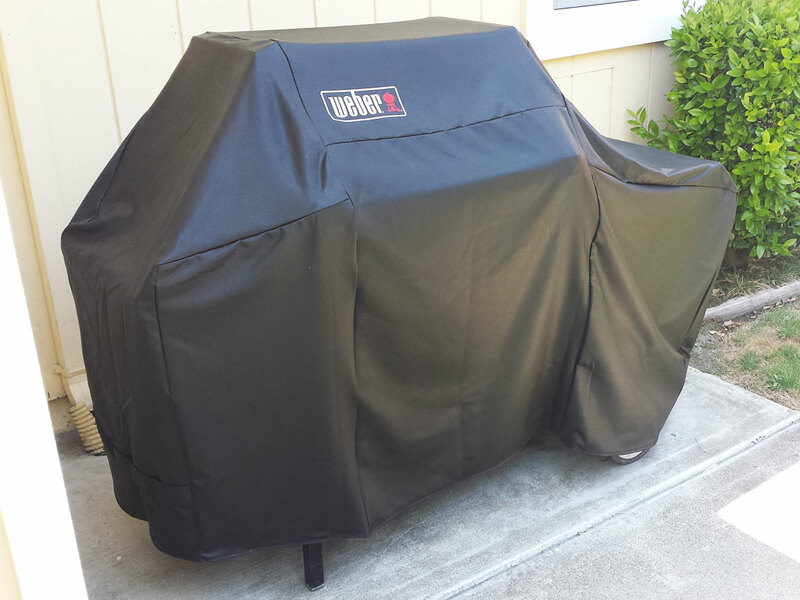 Once you know which cover you need, Amazon has a wide selection of Weber gas grill covers at very competitive prices. 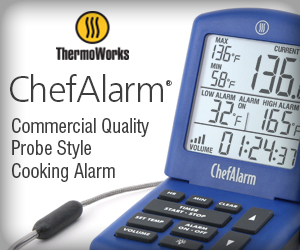 That’s where I ordered this one for much less than the price at Weber.com. Amazon also carries Classic Accessories Veranda grill covers that fit many Weber grills and come highly recommended by members of The Virtual Weber Bulletin Board. So show your gas grill some love, and protect your investment in Weber quality. Buy a new grill cover today! The Weber 7552 Premium Vinyl Cover is available at Amazon.com. 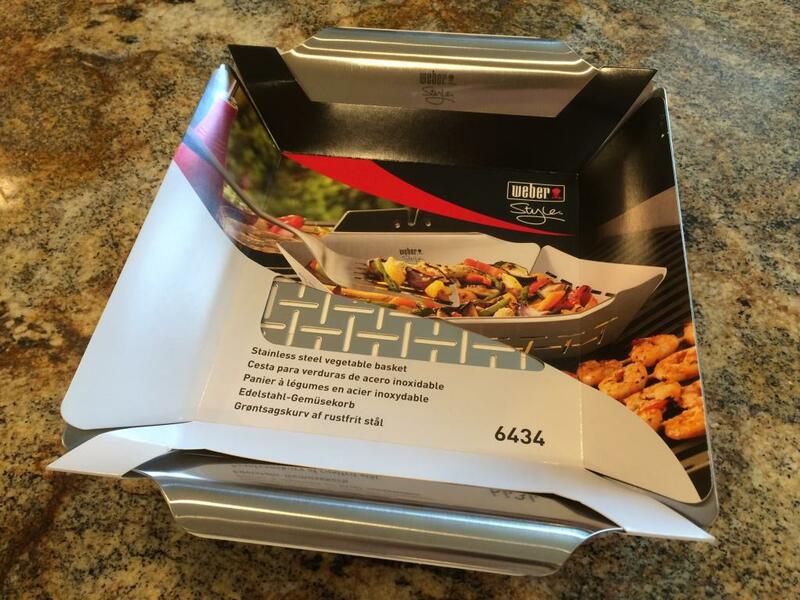 I recently bought a Weber Style 6434 stainless steel vegetable basket. 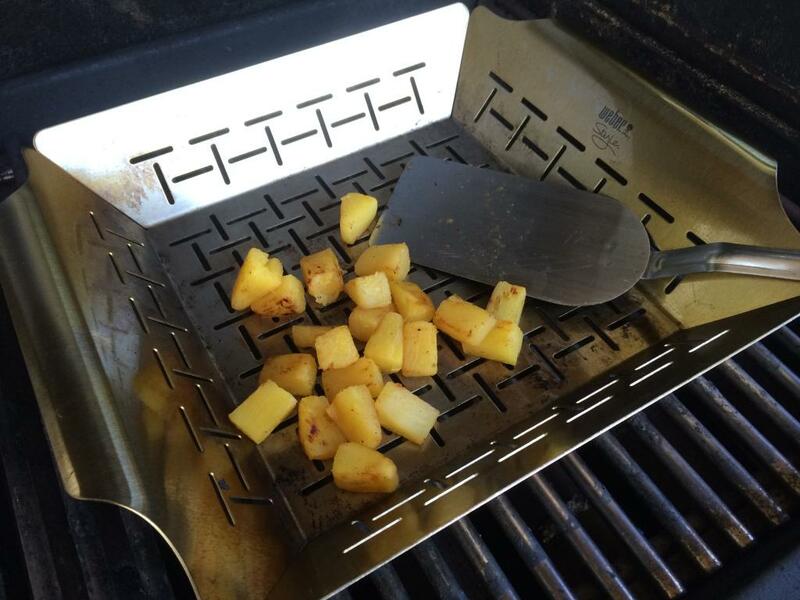 It does a great job on fruits and veggies on the grill. These baskets come in a variety of shapes and sizes, so you can get bigger or smaller ones depending upon the size of your grill and how much food you’re cooking. You need to let the basket heat for 10 minutes on the grill before adding food. I would suggest hitting the basket with a shot of non-stick cooking spray right before adding the food, too. The slots are just the right size, preventing food from falling through. The high sides keep everything in place, and the handles make it easy to remove the basket from the grill when wearing gloves. 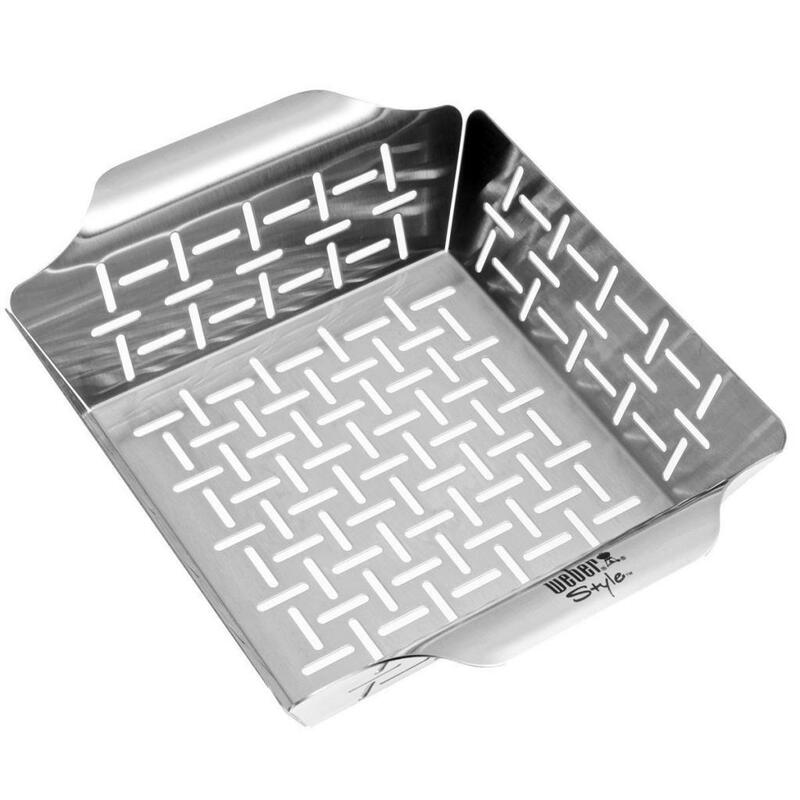 My only negative comment about the design is that when running your hands over the bottom side, it feels just a bit like a cheese grater…like if you weren’t careful, it would grate your fingers. You’ve been warned! The basket looks beautiful right out of the packaging, but it’s hard to keep it looking that way with use. It turns dark as a result of burned-on oil and food residue. I tried oven cleaner and got a good result. My wife went with a soaking of Simple Green, a Dobie scrubber, and lots of elbow grease and did OK with that approach. I started a discussion thread about this on The Virtual Weber Bulletin Board. The responses ranged from “Why bother?” to “Use a green ScotchBrite pad” to member Jose Suro saying that a long soak in a solution of hot water and white vinegar followed by 30 seconds of scrubbing does the trick. Jose posted some photos of the results in the discussion thread. If you like to keep your stainless steel grilling baskets looking shiny and new, you might give Jose’s method a try. The Weber Style 6434 Stainless Steel Vegetable Basket is available at Amazon.com. 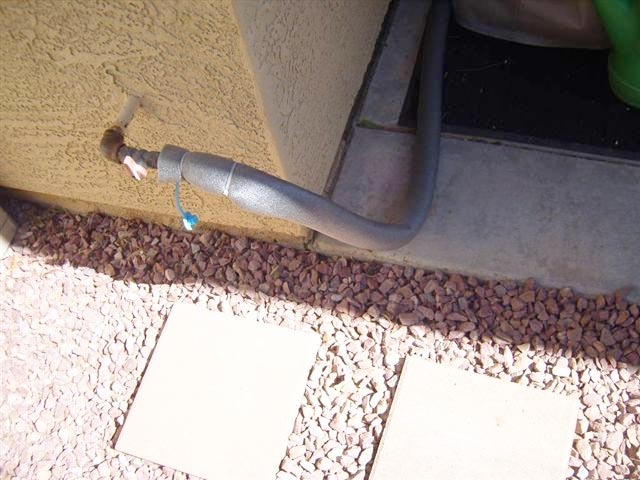 Here’s a tip from reader Rich Dahl for owners of natural gas (NG) grills.